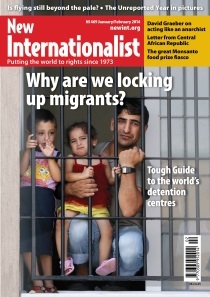 Difference between revisions of "Issue 469"
January / February 2014 - "Why are we locking up migrants?" Why are we locking up migrants? Is flying still a possibility? Argument: If we make the detention of migrants more humane, does this increase detention? This page has been accessed 14,303 times.